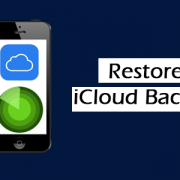 It is actually easy to restore iCloud backup. I guess if you don’t know then just don’t know, it is that simple. But guess What we are about to make you know how to in just a while. To restore cloud backup on a new or reset iPhone, follow these steps. On switching on you see the “Hello” screen. Choose your language of choice and country or region of residence. Next, connect and sign in to Wi-fi network. Choose Enable or disable Location Services. Then Set up Touch ID. On the “Apps and Data” screen, tap on Restore iCloud Backup. Finally, Select the backup you wish to use. Tap Show all backups to access all backups in iCloud. Note: If you are trying to fix a problem, you might want to try using an older backup. It will take a while to restore, so grab a cup of tea and go for a nice, healthy walk. You can also restore iclolud from iTunes. But you need to manually disable Find My iPhone before using iTunes to restore iCloud backup. Note: This method can restore backed up the iPhone’s contacts, notes, text messages, calendars, and settings. Start by Connecting the iPhone or iPad to your computer. Proceed to launch the iTunes app on your computer. Click on the device icon on the iTunes window. Proceed to the device summary on the left side menu. Make sure the box is ticked and there are backup on the computer. 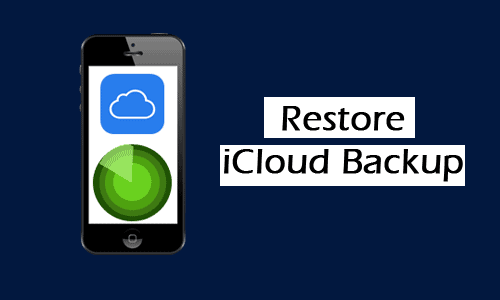 Click to Restore iCloud Backup. Choose your device and then click Restore. You might be prompted to enter the password to unlock your iPhone backups.